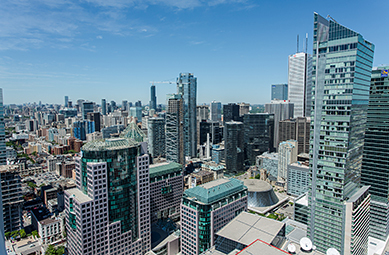 Buying a new condo in Toronto requires planning and investment, which is why it helps to consider the essential aspects before finalizing the purchase. 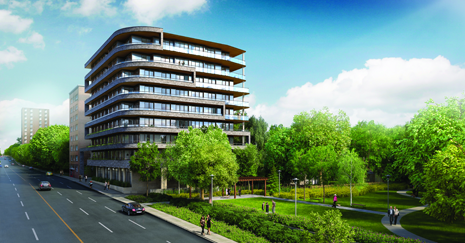 We have compiled a list of important things to address before getting a condo. Location is the most crucial factor when purchasing a new unit. Look for places that have new projects coming up nearby, have excellent views from the windows or balcony, and can get a good resale value over time. Know the exact size of the unit and calculate its purchase price accordingly. Compare it with the past sales to ensure you are not over-paying. When checking out the floor plan, consider things such as whether all the bedrooms have a balcony or windows and ensure no space is wasted. Know what constitutes the final price you need to pay. If needed, consult an expert to ensure you can cover the mortgage costs. Also, consider the additional expenses such as property taxes, closing costs, lawyer fees, condo maintenance fees, and utility fees. If you are purchasing an older unit, consider the annual repair expenses as well. The condo maintenance fee typically includes general cleaning and repairs, concierge or security services, parking facilities, and a part of the condo corporation’s insurance. A portion of it will also contribute to creating a reserve fund for large-scale maintenance and capital costs such as repaving the parking lot or roof replacement. Although you may want a variety of facilities to make your life comfortable, the cost of these amenities can increase your overall expenses. Consider the facilities such as 24/7 security, properly functioning elevator, guest parking, separate thermostats for rooms, energy efficiency, and appliances that come with the condo when gauging price. This is often overlooked by potential homeowners. Consider things such as the direction of windows and natural sunlight that can help you cut down on your energy bills during the winter months. The floor you buy a unit on will impact the resale value. The higher you buy, the more it will cost, particularly if you are considering a pre-construction purchase, and you can sell it for a higher price in the future. This is because of the benefits like excellent views and less noise pollution that come with it. Consider upgrades such as light fixtures, porcelain tiles and flooring, countertops, kitchen cabinets, ceilings, and closet organizers. You could also think of any other changes that you specifically wish to have. In addition to being dated in their appearance, older condos may come with a high maintenance fee. Although this could be balanced by a lower purchase price, make sure you know what the deal will cost you. Understand how much coverage the commercial insurance policy has and ensure it includes additional condo fees and assessments if the corporation decides to pass any extra cost to the unit owners. When purchasing a condominium, look for a unit that is close to a hospital, public transport, good schools, grocery stores, shopping malls, and parks. In addition to making your life comfortable, it can also enhance the resale value of the property. It helps to think of what type of people you’d want to be around before purchasing a unit. 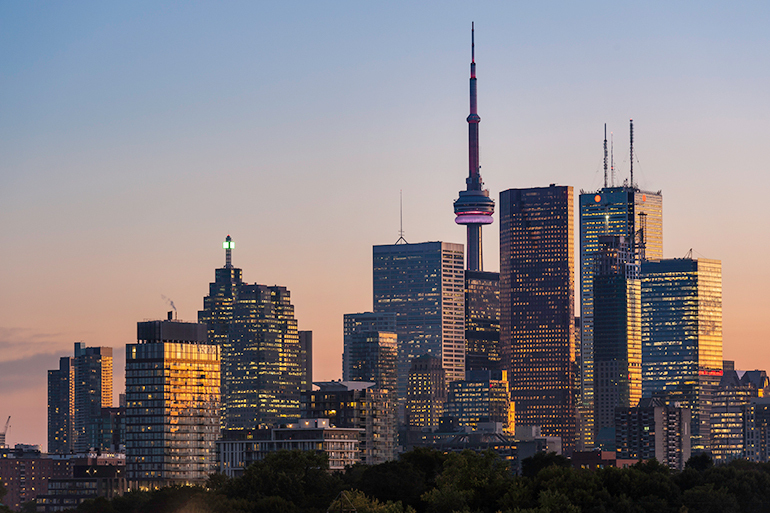 For instance, many condominiums, particularly in downtown Toronto, are mostly occupied by young people which is why one may often find late night parties here. 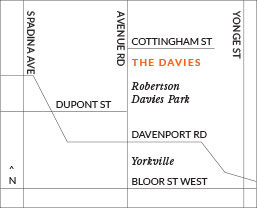 The Davies has many new condominium units in a great location with essential facilities waiting for you. We can help get the right unit for you that meets your requirements. 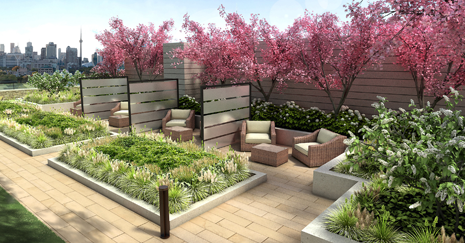 For more information about our new condos in Yorkville, Toronto, reach out to our sales team by calling 647-360-9588. You may also register online with us for more details.